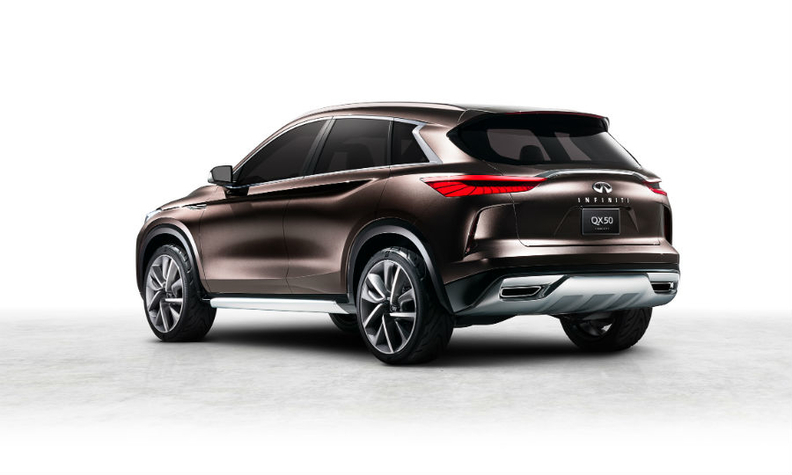 Infiniti will debut a QX50 crossover concept with self-driving technologies at the Detroit auto show next week, along with what it says is the world's first production-ready, fuel-saving variable compression ratio engine. 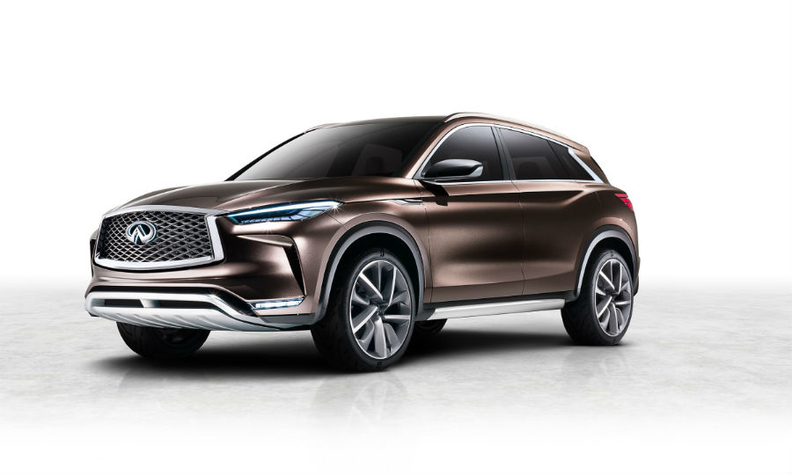 Infiniti said the QX50 Concept previews the brand's roll out of autonomous drive support technologies whose the main focus is to ensure that drivers retain ultimate control over their vehicles. The strategy is in keeping with the brand's "focus on driver engagement," Infiniti said in a statement. "Infiniti's autonomous drive technologies will act as a 'co-pilot' for the driver," the statement said. The technologies will delegate more onerous driving tasks to the car – such as navigating stop-start traffic on the highway or keeping track of the positions of surrounding vehicles. The QX50 Concept also showcases the brand's vision for a next-generation midsize premium SUV, Infiniti said. The concept is an evolution of the QX Sport Inspiration unveiled at the 2016 Beijing auto show. Infiniti says the QX50 Concept demonstrates its "Powerful Elegance" design language in SUV/crossover form. The car also demonstrates a potential application for the brand's VC-Turbo variable compression ratio engine, which Infiniti says matches diesels for power and fuel efficiency. The engine combines the power of a 268-hp, 2.0-liter turbocharged gasoline engine with the torque and efficiency of an advanced diesel powertrain. Using a multi-link system, the engine can adapt its compression ratio according to driving conditions to deliver optimal levels of performance and efficiency. "By seamlessly raising or lowering the reach of the pistons, it selects the most suitable compression for current driving conditions," Infiniti said. The engine will be comparable to certain six-cylinder gasoline powertrains for performance, while significantly outperforming them in efficiency, the brand said. Engineers are targeting a 27 percent improvement in fuel efficiency over V-6 gasoline engines of similar power output.